Liberals are proclaiming that by choosing Paul Ryan as his running mate, Mitt Romney has changed the strategy of his campaign — when in fact, he’s doubled-down on it. Talk about wishful thinking! I think it’s safe to assume that unemployment will continue to be a major focus of the campaign. Policy wonks and partisans may consider deficit reduction and unemployment as separate issues, but for swing voters I think it all conflates into responsible stewardship of the economy. … the choice of Ryan pushes against what has been the central theory of Romney’s campaign: make it less of a choice between himself and Obama and more of a referendum on the incumbent president and the languishing economy. Actually, no matter who is on the ticket, a presidential re-election campaign will always be both a choice between two candidates and a referendum on the incumbent. This time, Obama doesn’t have the luxury of running against the incumbent. Romney’s original intention was to make the 2012 election a referendum on President Obama’s management of the economy. 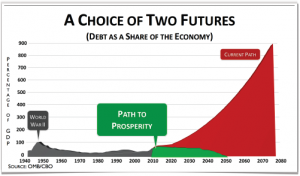 Ryan makes it a choice between two competing plans for deficit reduction. This election increasingly resembles the Obama campaign’s strategy rather than the Romney campaign’s strategy. More wishful thinking. Although Paul Ryan certainly is the primary focus of election coverage this weekend, that will soon fade. Ultimately the election is a choice between Romney and Obama. No matter how much Obama partisans want to wedge Paul Ryan into a Sarah Palin narrative, that won’t work. Watch Ryan’s famous three-minute “Path to Prosperity” video above and you’ll see an articulate spokesman for fiscal responsibility. What you won’t see is a target-rich environment for Tina Fey. Does Perry Even WANT to be President? It underlies the lingering sense that Mr. Perry is running chiefly because he saw an opening he could exploit, rather than having spent much time thinking about what ails the country and what to do about it. 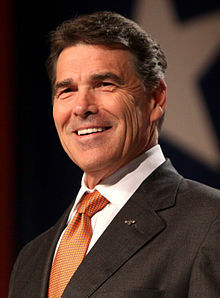 On paper, the idea of a Perry candidacy was compelling — long-time governor of our second largest state, etc. But on paper, Gov. Sarah Palin with her executive experience was more qualified for the presidency in 2008 than was Barack Obama, and we know how that turned out. I don’t think it’s possible to become president without spending many years steering toward that goal. Even before the sexual harassment allegations began erupting, it was clear that Herman Cain had given very little thought to many of the issues that he would face as president (such as, you know, foreign policy and stuff). The narrowness of his focus would doom his candidacy if he wins the nomination. 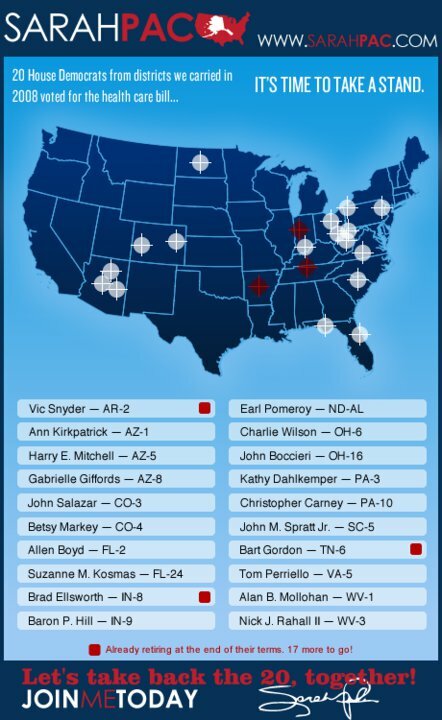 Sarah Palin and everyone associated with her political action committee are, no doubt, regretting the boneheaded decision to superimpose crosshairs on the districts of Gabrielle Giffords and other House members Palin was “targeting” in the 2010 campaign. The use of the crosshairs was dumb. But it’s a long stretch from such excessive language and symbols to holding a public official accountable for a murderer who opens fire on a political gathering and kills a half-dozen people, including a 9-year-old girl…. 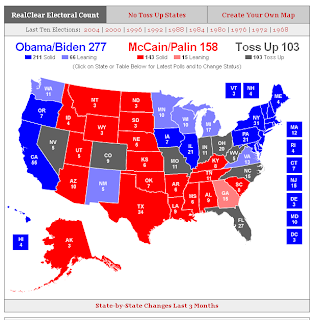 This isn’t about a nearly year-old Sarah Palin map; it’s about a lone nutjob who doesn’t value human life…. Let’s be honest: Journalists often use military terminology in describing campaigns. We talk about the air war, the bombshells, targeting politicians, knocking them off, candidates returning fire or being out of ammunition. So we shouldn’t act shocked when politicians do the same thing. Obviously, Palin should have used dots or asterisks on her map. But does anyone seriously believe she was trying to incite violence? As the political left seeks to use the Arizona tragedy to tar all conservatives with the brush of the murderer, there is another point to remember here. In the past few years, there have been several shootings and terrorists attacks carried out or attempted by American Muslims who were clearly influenced by extremist Islam. Yet every time such a crime happens, liberals loudly warn us that an examination of the motives of those who carry out such attacks is beyond the pale, since such ruminations might be prejudicial to Muslims, even if the truth is that those crimes were influenced by Islam. When a crime has a seriously deranged perpetrator, like the young man who opened fire in Tucson yesterday, it’s counterproductive to speculate about where the suspect falls on the left-right political spectrum. There’s plenty of inflammatory rhetoric on both sides, and the whole point of realizing that the perp is a nutcase is to understand that his political opinions are not based on reality. Since the shooting, the New York Times has published two separate articles about “a wrenching debate” or “a wrenching process of soul-searching” over the lack of civility in America’s public discourse. Let’s hope this soul-searching continues past the current news cycle. Here are some observations on last night’s debate that resonate with me. By the standards of those Americans conditioned by the late night comics to think of Palin as an inarticulate idiot, incapable of putting coherent sentences together or understanding basic policy questions, she succeeded enormously. She had a solid ninety minutes of rapid, confident discourse and kept herself from being the story of the night (as well as the constant punch line of the election season). Improved her image and partially turned the page on McCain’s bad two weeks, enabling the Republican ticket team to try to regain some footing in a contest that has been steadily slipping away-but didn’t revolutionize the current race. Kicked off the debate with a demure handshake and query for Biden (“Hey, can I call you Joe?”) and indulged in some winks and folksy asides (referring to Washington insiders as “guys” for instance) but otherwise, didn’t leave Tina Fey much to work with. Some athletes are known for raising the level of their game when it is most important, in the championship or the World Series or the Olympics. Some are notorious for shining during the season but folding in the big ones. Palin’s convention speech was a crucial debut in her rookie year, much like pitching in the season opener before the largest audience of her life. The Biden debate was more like stepping to the mound in the eighth inning of the World Series with bases loaded and nobody out, with her team behind. With most of America watching, she struck out the side. That doesn’t mean her team will win, however. There’s still at least another inning to go, and she’s not the closer. In contrast, Palin’s interviews with Gibson and Couric put her off her game. There was no audience present; it had to be imagined and filled in later. Since Palin seems to be most at ease and even invigorated interacting with a real crowd, this may have been part of the reason for her unease in the interviews. In her speeches and in the debate she was especially effective when she addressed the people directly. We all know this was not the Palin/Biden debate. This was the Palin/Palin debate. Everybody who tuned into this thing, whether liberal, moderate or conservative were tuned in to see which candidate Sarah Palin handed the live hand grenade to, Obama or McCain. As usual nobody gived a rats a** what nonsense spewed from Biden’s cakehole. Nobody will remember a thing he said. The Democrats have a lot of built-in advantages in this election cycle, and judging by the public’s reaction to the first debate, the key to victory for Obama-Biden is to do no harm – don’t squander your advantages, don’t freak out when the Republicans score their points on the surge and offshore drilling, and just be sure to always nudge the conversation back to the economy, to middle-class tax cuts versus tax cuts for the rich, to health care, and to George W. Bush’s record. 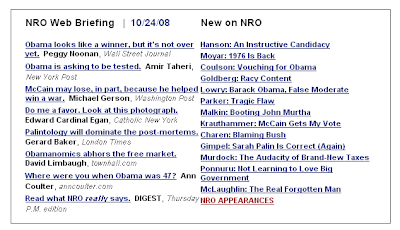 So while Sarah Palin did an awful lot for Sarah Palin tonight, there was only so much she could do for her running mate – given her own limits, but especially given the state of the country, and the gulf between the issues the McCain campaign wants to fight on and the issues voters care about. She’s saved herself from Quayle-dom, but Obama-Biden is one debate closer to victory. That last sentence sums it up pretty well, I think. The other day, my wife Nina came up with the line, “I can see the end of Palin’s career from my house” — a line which I grudgingly admire, even though I wish Palin well. But after last night I’m hopeful that Palin may still have a political future. I disagree with her on social issues and I don’t think she’s qualified to be vice president, but I admire her for taking on a remarkably corrupt Alaska political establishment, ousting a sitting governor of her own party in the process. She’s in over her head, but she deserves better than the treatment she’s received. Ironically her best hope for better treatment is to lose the election. Who would remember Dan Quayle’s campaign-trail mishaps if he had never been elected VP? While John McCain’s “selection of the Alaska governor has energized the GOP’s socially conservative wing,” it has also inspired a lot of gay and lesbian Republicans. It has brought together left-leaning lesbians and Hillary-supporting gay men concerned about Barack Obama’s qualifications with gay conservatives unhappy with McCain’s frequent departures from party orthodoxy. 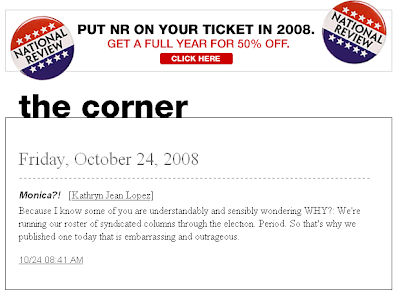 We see in Sarah Palin John McCain’s real commitment to reform. That is why, despite her mixed record on gay issues, we are excited by her nomination. The article is by a co-author of GayPatriot, which has been my favorite gay conservative blog ever since Andrew Sullivan let his Bush Derangement Syndrome morph into McCain Derangement Syndrome. The reference to Sarah Palin’s “mixed record” is a euphemism at best — the only things on the positive side of the ledger are that she vetoed an anti-gay law (because she believed it was unconstitutional), and apparently she interacts respectfully with openly gay individuals. But there’s nothing really “mixed” about her stand on gay issues — she’s simply on the wrong side. For me, and for some gay voters, national security is a more pressing issue in selecting a president. I think Palin was a bad choice on the basis of experience (although she is better qualified on that basis than Obama). But I think her reform record is admirable, and since for now at least she clearly is helping the ticket, I’ll take my chances on McCain’s continued good health. Ah, the abortion issue, always, only, the abortion issue. We fought hard for that right, and we have been forced to continue fighting for it. I don’t agree with the Right to Life position but I can work with someone whether or not we agree on this hot-button issue. … I have worked with some Christian conservatives who are anti-abortion but who are, nevertheless, pro-woman. Interestingly, they have sometimes taken pro-woman stands that are, in my view, even more radical in certain areas than those taken by secular feminists. Indeed, I have found that religious people can also be profoundly pro-woman. Feminism cannot be defined only by secularists or only by one political party. Contra Tammy Bruce, I don’t think Obama’s decision to pass over Hillary Clinton had as much to do with sexism as it did with Clinton’s own baggage, as well as Obama’s understandable desire to avoid being saddled with a second-guessing Second Gentleman who used to hold the top job. I also, frankly, still don’t think Palin is qualified to be president. She would not have been selected if she were a man. However, Democrats are in no position to complain about appeals to identity politics. Palin joins a long tradition of underqualified VP nominees in both parties, ranging in my lifetime from Spiro Agnew to Sargeant Shriver to Geraldine Ferraro to Dan Quayle to John Edwards. I’ll take my chances with Palin.